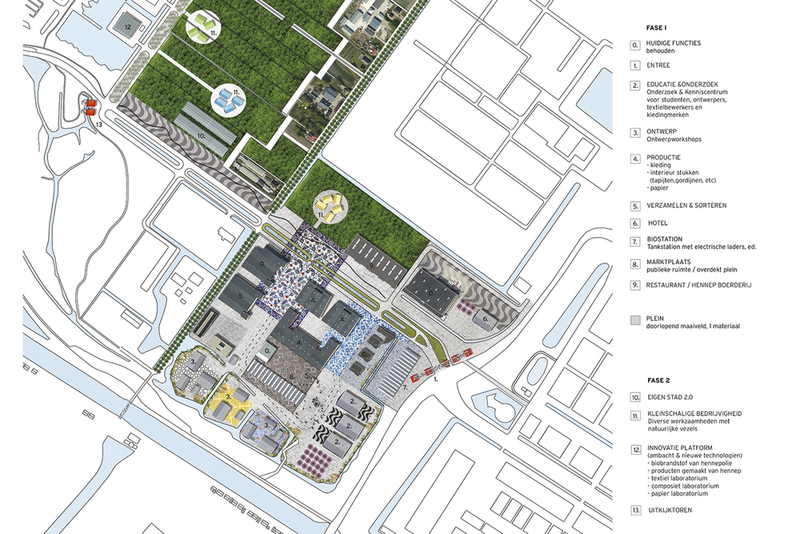 Process strategy for a sustainable development of the Businesspark BPAO in Amsterdam Nieuw West. Strategy: the main component of the proposed vision is the path towards the goal. 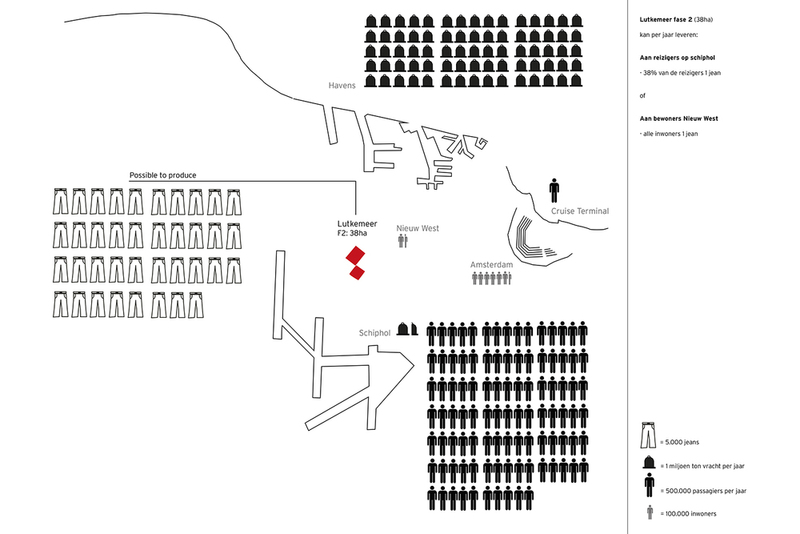 For this purpose, a plan has been developed for five activity lines that can run in parallel, comprising a series of smart interventions, which ensure visibility, positioning and meeting, and a communication line, which informs, stimulates and actively searches for market connections. 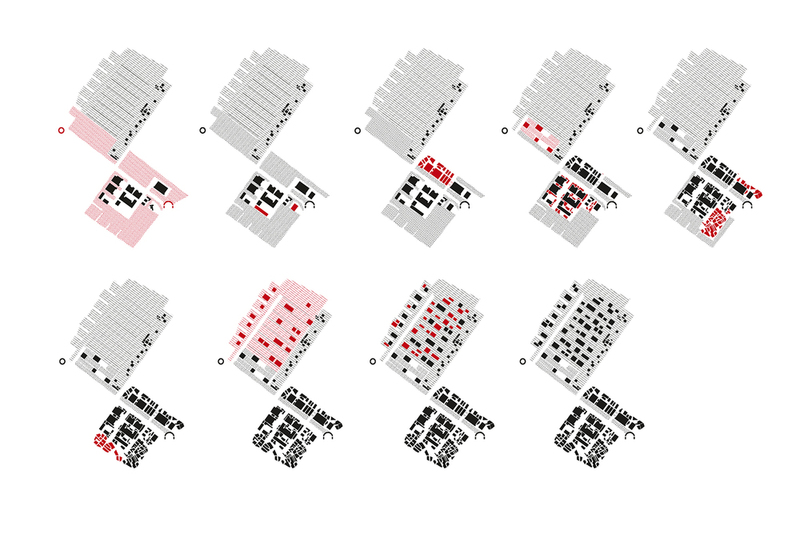 Other parallel activities we propose in this vision of the development process and the stimulation of possibilities for temporary use, innovative suggestions for better accessibility, and reinforcing and connecting with the spatial qualities. 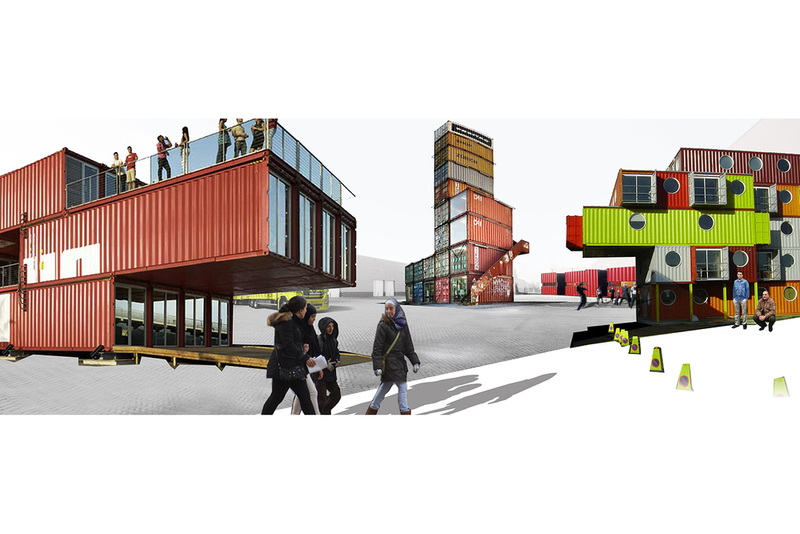 On the basis of spatial and economic research into this area, between Schiphol, the harbour and the City of Amsterdam, three scenarios have crystallised that could be models of a recycling economy for this site. The main themes of these scenarios are food, fashion and bio packaging. The scenarios are made possible by creating synergies between businesses, educational institutes and other organisations on the site and in its direct vicinity and the ambitions of the City of Amsterdam, Schiphol and the harbour, on a regional and international level.